This is Bill. Bill passed about seven cars across a double yellow and made me pullover to see the Lambo. Bill liked it. 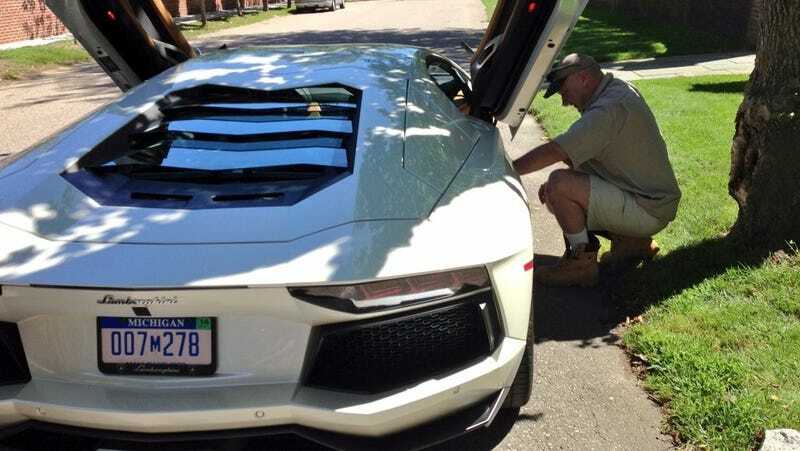 Bill is a former Countach owner and had to see the car. I don't blame him. The amount of attention it attracts is insane. My 20 minute drive became an hour with people coming up for pictures and to ask questions. I wanted to count the number of thumbs up and pictures people took over the weekend, but I've now lost count. It's ridiculous. But ridiculous in a good way.